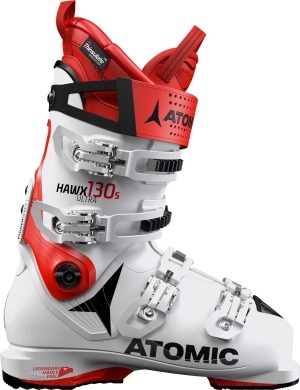 The new Atomic Hawx Ultra 130 is the lightest alpine ski boot we’ve ever made. It’s also the stiffest boot in our brand new Hawx Ultra range – bringing the legendary Hawx feel to skiers with narrower feet. It includes Memory Fit for the personalization of a custom ski boot in minutes, plus a Memory Fit 3D Platinum liner with pre-shaped heel and ankle areas for an even better first fit. The reason it’s so light is a Grilamid cuff combined with our radical new Progressive Shell that adds reinforcement in key zones but reduces wall thickness overall to cut weight by 25%. For the best combination of snow-feel and power ever felt in an all-mountain boot, Hawx Ultra also features an asymmetric Energy Backbone that provides extra strength and edge grip for super strong skiing. Add Power Shift, Cuff Alignment and our new Cantable Grip Pads and you’ve got one of the best performing, most customizable boots to date. Atomic Hawx Ultra 110 is part of our new Hawx Ultra range, offering skiers with narrower feet the legendary Hawx feel for the first time. It’s also the lightest alpine boot series we’ve ever made! The reason it’s so light yet powerful: a radical new Progressive Shell that adds reinforcement in key zones but reduces wall thickness overall to cut weight, combined with our Energy Backbone – a reinforced, asymmetric backbone that provides extra strength and edge grip for powerful skiing. The boot also includes Memory Fit for the personalization of a custom ski boot in minutes, plus a Memory Fit 3D Gold liner with pre-shaped heel and ankle areas for an even better first fit. These medium-flex 110 boots are slightly softer than the 120 and 130, but still really strong – and they also feature Power Shift, Cuff Alignment and our new Cantable Grip Pads for complete customization. Bootfitter’s comments: Featuring all the proven customisation and adjustment of Atomic’s bestselling Hawx range, but in a snug-fitting, ultra-light package, the Hawx Ultra 110 is a great option for good skiers who want a high-performance, responsive boot. Our Atomic Hawx Prime 120 is a super sporty all-mountain ski boot with a stiff flex. This legendary Hawx medium fit comes with Memory Fit, so you can get the completely personalized shell, cuff and liner of a custom ski boot in minutes. With Power Shift you can adjust your forward lean and crank your flex index to 130 to fully suit you. Our revolutionary Sole Flex on the sole of the boot enhances your balance, underfoot feel and control. The new Memory Fit 3D Platinum liner with pre-shaped ankles provides an even better first fit. While the boot also features 3M™ Thinsulate™ Insulation to keep your feet warm and responsive in even the coldest, dampest conditions. Finished with a lighter build and optional WTR Grip Pads for easier walking, the Hawx Prime 120 is a seriously capable custom boot for strong all-mountain skiers. Bootfitter’s comments: The Atomic Hawx Prime series is always a popular seller for us, with customers loving the generous instep height, upright cuff stance and Memory Fit shell customisation. The 120 flex of this model packs enough power for aggressive all-mountain skiing, but is a bit more forgiving than a 130-flex race boot. Bootfitter’s comments: The Hawx Prime 100 retains all the performance and customisation features of Atomic’s bestseeling Hawx models, but in a forgiving 100 flex, ideal for intermediate skiers and first-time boot buyers looking to take their skiing to the next level. A perennial favourite in Atomic’s range! 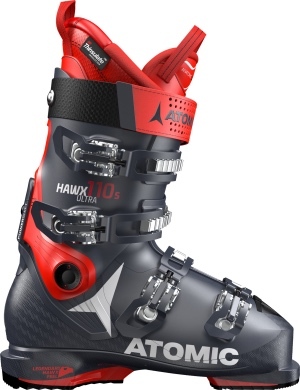 Atomic Hawx Magna 110 is one of the top custom ski boots in our wide-fit Hawx Magna series. This series brings skiers the legendary Hawx feel and features in a boot with a 102mm fit. It’s a massive step forward for wide fits, too: it’s the lightest boot in its class and packed with features for wider feet like the easy step-in zone and a wide tongue. It comes with Memory Fit for a fully personalized shell, cuff and liner in minutes. With Power Shift you can adjust your forward lean and alter your flex index + 10 flex points to suit you, while the Silver liner features 3M™ Thinsulate™ Insulation to keep your feet warm and responsive. Of course it’s a great wide-fit boot – it’s a Hawx. Bootfitter’s comments: For the skier who needs a generous fit, but doesn’t want to sacrifice performance features and build quality, the Hawx Magna range of boots are a great option. Featuring Atomic’s Memory Fit customisation technology and a solid 110 flex, this boot will suit strong intermediate or advanced skiers. 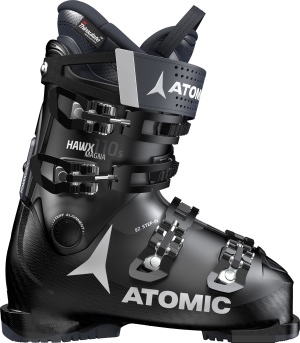 Atomic Hawx Magna 100 is one of our wide-fit Hawx Magna ski boot series. This series means you can get the legendary Hawx feel and features in a boot with a 102mm fit. It’s the lightest boot in its class and packed with features purpose-built for wider feet like the easy step-in zone and a wide tongue. It also has a medium flex for intermediate skiers. And the Silver liner features 3M™ Thinsulate™ Insulation to keep your feet warm and responsive even in extremely cold and damp conditions. A great wide-fit boot – and most importantly, a great Hawx. Bootfitter’s comments: A great option for first-time boot buyers! The Hawx Magna 100 features a generous 102mm forefoot fit, Memory Fit custom shell technology, and easy entry for maximum comfort. The 100 flex will work for a wide range of ability levels, from first-timers to lighter or less aggressive advanced skiers. Bootfitter's comments: A bestseller last season, the RC Pro features a medium volume shell shape which can be vacuum moulded to give an optimum custom fit, and an ingenious liner featuring three different densities of material to give power and comfort where they are needed most. Fantastic performance coupled with a good nature. The Active Fit Zones in the boot liner ensure a perfect fit for direct power transfer which is additionally enhanced through the New RC Pro Velcro Strap, RC Pro buckle concept and Ultralon Padding. 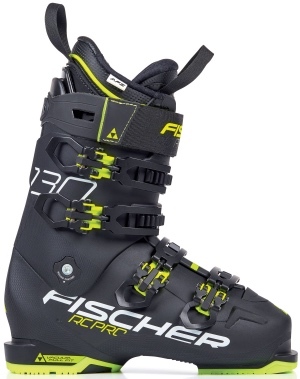 Bootfitter's comments: Utilising Fischer's 100mm lasted RC Pro shell, but in a versatile 110 flex, this is a great option for strong intermediate to advanced skiers seeking the comfort and performance of a vacuum-moulded shell. Bootfitter's comments: An Advant Edge model in a super-versatile 105 flex! The upright stance and responsive cuff design reduce fatigue to keep you skiing all day long. Adjustable flex and cuff spoiler allow us to tailor the boot to your skiing performance level. Bootfitter's comments: Comfort and effortless skiing with the Advant Edge 95! Hi-Top shell deign makes getting the boot on and off easy, while the natural upright stance minimises muscle fatigue and helps keep you centred on your skis. Built to get the most out of all conditions, the Promachine 130 delivers the performance of a Dobermann race boot in a more comfortable lightweight shell and liner. The newest addition to the machine family, it's the most modern low-volume boot Nordica has ever crafted. It employs stiffer plastic along the spine of the shell, allowing for tons of lateral stability and a smooth flex. That, combined with an anatomical 98mm-last shell and 3D liner, that can be further customized using infrared heating, makes for incredibly responsive, precise turns and ample rebound. Wear the Promachine and get the power you demand with the comfort you desire. Bootfitter’s comments: Brand new from Nordica, the Promachine 130 offers top-level alpine performance in a lightweight polyurethane shell. The 98mm last offers a precise, responsive fit, while the liner features a customisable cork material and Primaloft insulation for improved comfort. As the softest flexing boot in the line, the Promachine 110 is more forgiving but still very reactive, utilizing stiffer plastic along the spine of the shell to create lateral stability and fast energy transfer. Those qualities make it ideal for a skier with a lighter touch who still demands performance out of their boot. Like the other boots in the Promachine family, the 110 is low-volume, lightweight, and energetic. It also employs Primaloft® in the liner for added warmth and a cushier feel. An anatomical 98mm-last shell and 3D liner, that can be further customized using infrared heating, makes for incredibly responsive, precise turns and ample rebound. For an easy turning, low-volume boot that performs well in all conditions, look no further than the Promachine 110. Bootfitter’s comments: The new Promachine 110 packs all of Nordica’s top-level technology into an accessible 110 flex package, suitable for everyone from confident intermediates through to expert skiers. Featuring a race-like 98mm last, but with a smooth, forgiving flex and plush liner for all-day comfort. Bootfitter's comments: The re-incarnation of a Nordica classic! The original struck an awesome blend of comfort and performance, and the cork liner and custom mouldable shell of the new Speedmachine 130 allow us to ramp the comfort up to the next level. 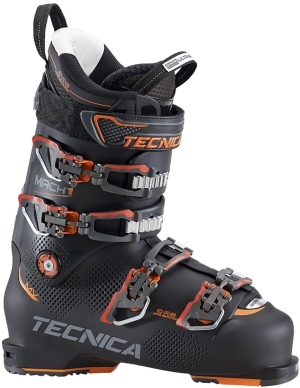 Bootfitter’s comments: All the technology of the Speedmachine 130, in a more user-friendly 110 flex, the Speedmachine 110 represents a great option for the improving all-mountain skier looking for the signature Speedmachine blend of comfort and performance. The Speedmachine 100 delivers top of the line all mountain performance, in all conditions. With its fully customizable Infrared Tri-Force shell and 3D liner design the Speedmachine delivers high performance and precision without sacrificing comfort. This boot was built to bring your skiing to the next level. Powerful, comfortable and fun. Bootfitter’s comments: All the features of the Speedmachine 120, in a slightly softer-flexing package, the Speedmachine 100 is a great option for advancing skiers looking for a boot to take their performance to the next level. Brand new from Nordica for 2017/2018, the Sportmachine range builds on the success of the hugely popular Speedmachine line of boots. The Sportmachine offers the same Tri-Force shell, cork fit liner and Infrared customisation technology as the Speedmachine boots, but in a more relaxed 102mm forefoot width. Bootfitter’s comments: Our staff and customers are huge fans of Nordica’s Speedmachine range, and we’re delighted to be able to offer all the Speedmachine’s tech and performance in a wider fit option. The 120 is the flagship Sportmachine model for advanced skiers looking for a high-performance boot with a relaxed forefoot fit. The brand new Sportmachine 100 is a great option for the improving intermediate skier who needs a more relaxed fit from their boots, but doesn’t want to compromise on performance. Featuring Nordica’s full PU Tri-Force shell, and a Cork Fit liner, the Sportmachine 100 can be fully customised using Nordica’s Infrared customisation technology. Bootfitter’s comments: The Sportmachine 100 is an exciting addition to our range. Packed with the same technology as Nordica’s top of the line boots, the Sportmachine 100 offers all-day comfort in a package that will allow you to progess your skiing to the next level! The Mach1 130 offers a great out-of-the box fit with amazing customization capabilities. Featuring a 130 flex, and available in 97mm LV and 100mm MV fit options. The proven C.A.S. liner is now joined by the new C.A.S. Shell and C.A.S. Bootboard to allow complete customization if needed. Responsiveness and comfort all in one. Bootfitter’s comments: Available in two last widths, and further adjustable thanks to a custom mouldable shell and liner, the Mach1 130 is a serious all-mountain performance option. For intermediate to expert skiers the Mach1 110 is the perfect solution for someone that doesn’t want to compromise fit and performance but is looking for a slightly softer flex than the 130. Available in both a 97mm and 100mm last. The proven C.A.S. liner is now joined by the new C.A.S. Shell and C.A.S. Bootboardoffering a great out-of-the box fit with amazing customization capabilities. No compromises! Bootfitter’s comments: All the customisation offered by the Mach1 130, but in a slightly more forgiving flex pattern, this is an option for a wide range of foot shapes and ability levels. The backbone of the Mach1 line up, the Mach1 100’s unbeatable features and fit make it a perfect choice for intermediate to advanced skiers who are looking for a comfortable yet uncompromising fit. The C.A.S. liner is now joined by the anatomical, sculpted C.A.S. Shell and C.A.S. Bootboard to give you an impressive out-of-the-box fit, with responsiveness and control to take your skiing to the next level. Quick instep for ease of entry and exit, adjustable canting and flex round out the long list of features that will make this boot a go-to for a wide range of skiers this season. Bootfitter’s comments: The most accessible boot in the Mach1 series, the 100 offers a reasonably forgiving flex, but doesn’t compromise on customisation options, featuring a heat mouldable shell and Tecnica’s CAS liner. Mach1 stands for pure performance and precise fit with an ultimate level of customization. High performance skiers looking to up their game will appreciate the directness of the Asymmetrical Power Transmission shell. Built on a high volume, 103 mm wide last and supported by the CAS fit system, the HV 130 delivers levels of power, comfort and control that have never been seen in a high-volume boot. The HV 130 lives up to the Mach1 name. 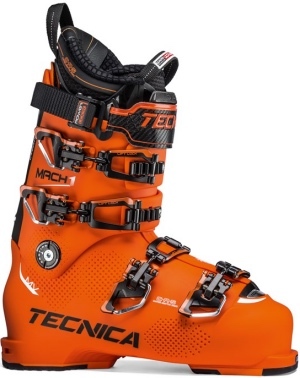 Bootfitter’s comments: Tecnica’s Mach1 range have always been a popular option for high-performance, aggressive skiing, and with the new Mach1 130 HV we can now offer that proven performance to skiers who need a wider fitting boot. CAS shell and liner allow us to further dial in the fit for the ultimate power and comfort! Mach1 stands for pure performance and precise fit with an ultimate level of customization. High performance skiers looking to up their game will appreciate the directness of the Asymmetrical Power Transmission shell. Built on a high-volume, 103 mm wide last and supported by the CAS fit system, the HV 110, with its slightly softer flex, delivers the perfect amount of power, comfort and control. The HV 110 lives up to the Mach1 name. Bootfitter’s comments: In the past, there haven’t been a whole lot of options available for skiers seeking a high-quality, performance boot in a wider fit, so it’s always great to see manufacturers launching new models in this category. The Mach1 110 HV is built on Tecnica’s proven Mach1 platform, but in a new 103mm last shape offering plenty of room for those wider feet! Bootfitter’s comments: Salomon’s XPro last offers a great mix of rear foot retention and space at the forefoot. Performance where you need it, and comfort where you want it. The 130 is the stiffest boot in the XPro series. Weighing less than 2kg, X PRO 120 delivers heavyweight skiing performance everywhere in the resort with a Twinframe 2 shell design that delivers power to the edges, and an exclusive, lightweight polyamide chassis. Bootfitter’s comments: The Salomon Xpro 120 is one of our biggest sellers year on year, offering a customisable medium-volume lower shell that works for a wide range of foot shapes, and a burly 120 flex that packs plenty of power and support to ride the whole mountain. Bootfitter’s comments: A hugely popular boot, suitable for a wide range of ability levels and foot shapes. The custom shell offers a personalised fit, and the smooth flex handles the whole mountain well. State-of-the-art instant fit and efficient power transmission brought by 3D liner and Twinframe shell design, X PRO 90 is a great choice for all-day, all mountain skiing. Bootfitter’s comments: A proven winner for first-time buyers, intermediates and younger or lighter skiers, the Xpro 90’s medium last gives great heel hold and plenty of toe room for all-day comfort, to keep you skiing better for longer! Rigid, powerful, light and comfortable- we rethought everything about how an alpine boot should feel and ski, and created the K2 Recon 130. By combining four different TPUs with optimal shell wall thickness to construct our all-new Powerlight shell, we’ve engineered a boot designed for elite performance with the lowest possible weight. Stiffer PU is strategically placed where boot meets binding and along the spine of the boot for immediate power transfer, and medium and softer PU surrounds the body of the foot and near the instep to dampen vibration and for ease of entry. The shell is fully TPU heat mouldable so you and your boot tech can dial in the fit to your specific foot features. The FastFit instep entry feature helps the boot slide on and off with ease. The result is one of the lightest performance ski boots on the market. Available in multiple widths/lasts- 98mm and 100mm. Bootfitter’s comments: With the new Recon 130, K2 become the latest manufacturer to re-design their flagship performance boots to be as light as possible while still retaining maximum rigidity and power transmission. The all-new Recon 130 offers two last widths, a fully customisable shell, and a PrecisionFit liner for optimum comfort. The K2 Recon 120 Heat is loaded with all the tech, but without the weight of a high-performance alpine boot. By combining four different TPUs with optimal shell wall thickness to construct our all-new Powerlight shell, we’ve engineered a boot designed for elite performance with the lowest possible weight. Stiffer PU is strategically placed where boot meets binding and along the spine of the boot for immediate power transfer, and medium and softer PU surrounds the body of the foot and near the instep to dampen vibration and for ease of entry. The shell is fully TPU heat mouldable so you and your boot tech can dial in the fit to your specific foot features. The FastFit instep entry feature helps the boot slide on and off with ease. The result is one of the lightest performance ski boots on the market. Bootfitter’s comments: All the performance and customisation features of the all-new Recon 130, but with the added luxury of a built-in heat element within the liner, the Recon 120 Heat offers advanced skiers the ultimate in comfort and all-mountain power. The K2 Recon 100 is one of the lightest 100 flex boots on the market. By combining four different TPU’s with optimal shell wall thickness to construct our all-new Powerlight shell, we’ve engineered a boot designed for elite performance with the lowest possible weight. Stiffer PU is strategically placed where boot meets binding and along the spine of the boot for immediate power transfer, and medium and softer PU surrounds the body of the foot and near the instep to dampen vibration and for ease of entry. The shell is fully TPU heat mouldable so you and your boot tech can dial in the fit to your specific foot features. The FastFit instep entry feature helps the boot slide on and off with ease. We’ve raised the bar in alpine boot performance and proven that LESS IS MORE. Bootfitter’s comments: Following the success of K2’s bestselling Spyne range of all-mountain boots, we’re excited to get our hands on the new Recon 100. The fully customisable and ultralight shell of the Recon 100 will have your feet feeling fresh even after the longest of days on the slopes.